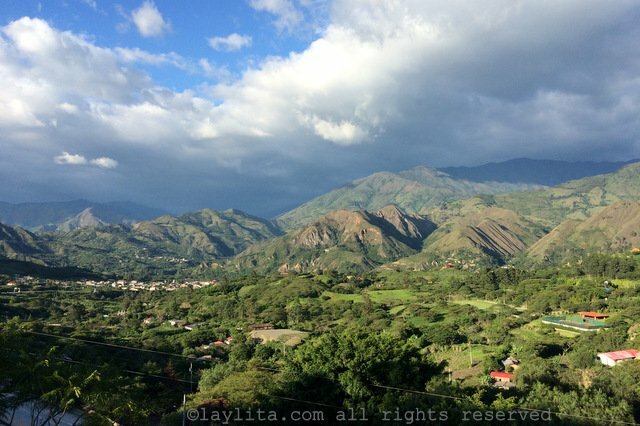 I took this photo of the Vilcabamba valley and mountains when we visited Ecuador a couple years ago. We went to the restaurant at Hosteria Izhcayluma, located outside of the town. The view from this place are amazing, you can stay there or just come for lunch/dinner or drinks. We shared a bottle of wine and had a caprese salad, with this view!